Thank you for considering SICSA in your charitable gift plan. SICSA has been helping homeless dogs and cats in Kettering since 1974. Thanks to many donors like you, we can continue providing veterinary medical care for homeless animals and finding them loving adoptive homes. Your gift also helps the community by providing spay and neuter programs for low-income families, humane education for children, pet therapy visits to schools and hospitals and much, much more. To learn more about each area of Planned Giving, please click on the desired category below. Every gift is so greatly appreciated. For more information, please contact Nora Vondrell, Executive Director, at 937-294-6505 ext. 40 or use the contact form below, which goes directly to the Executive Director. Gifts received through wills and trusts provide long range financial stability for SICSA to continue its programs for people and animals. I give and bequeath to the Society for the Improvement of Conditions for Stray Animals a corporation organized and existing under the laws of the State of Ohio and currently located at 2600 Wilmington Pike, Kettering Ohio, ___% of my estate to be used in support of its charitable programs. I give and bequeath to the Society for the Improvement of Conditions for Stray Animals a corporation organized and existing under the laws of the State of Ohio and currently located at 2600 Wilmington Pike, Kettering Ohio, the sum of $____ to be used in support of its charitable programs. All (or a specific percentage) of the residue of my estate I give and bequeath to the Society for the Improvement of Conditions for Stray Animals, a corporation organized and existing under the laws of the State of Ohio and currently located at 2600 Wilmington Pike, Kettering Ohio, to be used in support of its charitable programs. If you have any questions about making a bequest, please contact Nora Vondrell, Executive Director at 937-294-6505 ext. 40. You can donate a life insurance policy to us by simply naming SICSA as the beneficiary. For an existing paid-up policy that is no longer needed, you can take a charitable deduction approximately equal to the policy’s cash value at the time you make the gift. A charitable Remainder Trust can provide income to you and your spouse for as long as either of you live. Thereafter, the trust principal will go to the SICSA’s Endowment Fund. You may name other charities as principal recipients as well. Did you know that nearly half your retirement plan assets can be eaten away by taxes at your death? You can preserve more of your estate by making SICSA the beneficiary of any unused plan assets in your retirement plan. This could assist in avoiding combined estate and income taxes. If you own property that is entirely paid off and has appreciated in value, an outright gift may be the best solution. You can deduct the fair market value of your gift, avoid capital gains taxes and remove that asset from your taxable estate. Or, through your will you can give another person your home if that person survives you, if not the property passes to SICSA.  SICSA has a program that allows you to will your pets to SICSA for temporary guardianship and care. Click here to learn about Giving SICSA Guardianship.